Many Chinese think that Japanese Prime Minister Shinzo Abe is a political clown. As US President Donald Trump is going to visit Japan soon, people are expecting Abe to bow to Trump fawningly, which Chinese frown upon. Chinese media has often mocked such behavior by Abe. It's understandable that Chinese people are not fond of Abe, given what he has done since retaking office in 2012. Abe alone has undermined Chinese overall impression of Japanese people. Ordinary people naturally think poorly of other people they don't like and don't mind seeing them become a laughing stock. Hence Japanese soldiers are often portrayed offensively in Chinese television series about the Chinese resistance against Japanese aggression. Such a superficial impression allows Chinese to make light of Abe and Japan, but China has suffered when it fails to take full account of Japan's true motives. The stereotyped impression of Japan and Abe has dented Chinese interest in learning about Japan. We judge Abe's propensity for blunt anti-China policies and we believe he is a die-hard anti-China politician, yet we have little knowledge of what really makes him think this way. We mock Abe's flattering posture, but ignore his schemes. We take pleasure in Abe being trapped in controversies, but he somehow always weathers the plight. While Chinese are well aware of the so-called "Lost Score" of the Japanese economy, they barely know the achievements Japan has made in sophisticated industry. Japan appeared awkwardly embarrassed after the US withdrew from the Trans-Pacific Partnership, but its perseverance in attempting to form alliances to contain China takes us by surprise. We have taken much for granted in studying Abe and Japan, and have made many misjudgments. This is detrimental and ignorance is not bliss. A friend of mind told me that Japanese may appear to be humble, but on the inside they are haughty or even rude. Chinese work the other way around. My friend is not alone in thinking this way. It's habitual for Japanese to show modesty, but this doesn't necessarily mean they truly think this way. The delicate but fundamental differences between China and Japan have caused numerous misunderstandings. We tend to focus on the apparent similarities between Japanese and Chinese and ignore our distinctive natures, which are not always obvious. Measuring Japan with Chinese standards is counterproductive. 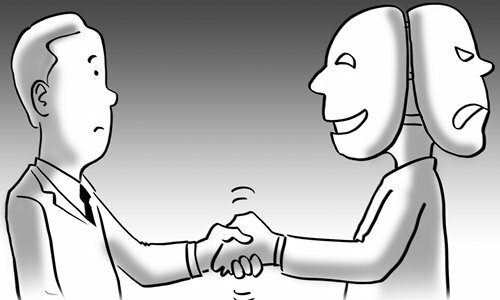 China-Japan relations are at a critical juncture. To gain an edge China needs to know Japan better. Although the power and strength often shift between the two countries, now is not the time for us to ignore Japan. As many Chinese say, Japanese only bow to those stronger than them. To find out whether this is true China needs to have sufficient power, which it still lacks. At the moment, competition between the two is still ongoing. There are many possibilities in future. Abe's arrogance and denial of historical issues reminds Chinese of miserable memories. In modern history, no other country has brought as much humiliation to China as Japan. Hence, Chinese are very eager to surpass Japan. But we need to be cautious and remain somber-minded. Only by having a rational, objective and full-fledged evaluation of Japan's internal and foreign policies can we calmly analyze our national interests. We don't need to pay too much attention to Abe's expression and postures when he meets Trump. These will catch eyes easily, but they are of the least importance.